After weeks of rumors and hedging, it’s official: Donald Glover will be playing the young Lando Calrissian in the standalone Han Solo Star Wars movie. According to Star Wars.com, the movie will show Lando’s “formative years as a scoundrel on the rise in the galaxy’s underworld.” Honestly, all I want is Glover losing the Millennium Falcon to Alden Ehrenreich in a cutthroat game of sabacc. We’re so lucky to have an artist as talented as Donald join us. These are big shoes to fill, and an even bigger cape, and this one fits him perfectly, which will save us money on alterations. Also, we’d like to publicly apologize to Donald for ruining Comic-Con for him forever. 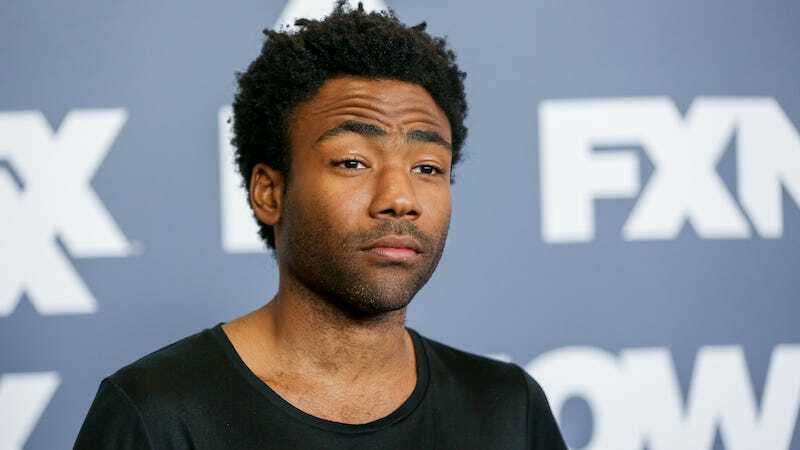 If you somehow don’t know who Donald Glover is, he played Troy in Community, was nominated for a Grammy for his album as Childish Gambino, and is killing it as the creator and star of FX’s Atlanta.